MDC DOT’s offers a sales enablement platform for direct selling organizations. 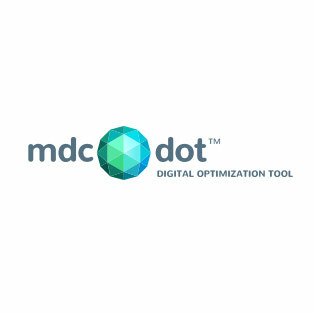 MDC DOT’s complete MarTech solution gives direct selling organizations the ability to provide marketing automation, CRM, and social media management to independent business owners. The digital optimization tool allows users to achieve sales and recruiting goals through batch and blast campaigns, drip campaigns, multi-step/nurturing campaigns, and intelligent auto-responders. The tool also aids in the identification and comprehension of prospects. Includes a simple CRM that provides critical data and functions the average sales rep needs. Put lead scoring, sales alerts, lead nurturing, and a comprehensive sales strategy in each sales reps hands. Every action is viewed in the form of a DOT symbol and makes it easy to create marketing campaigns with the intuitive DOT Sequencer. Provide a compliant social media program for sales reps to deploy on Facebook, LinkedIn, and Twitter. Easily replicate tracking codes installed on an existing websites, landing pages and lead generation funnels for each sales rep. Co-Op Blogging means that one blog can be the official blog of every sales rep.
Starts at $24.95 per user per month.